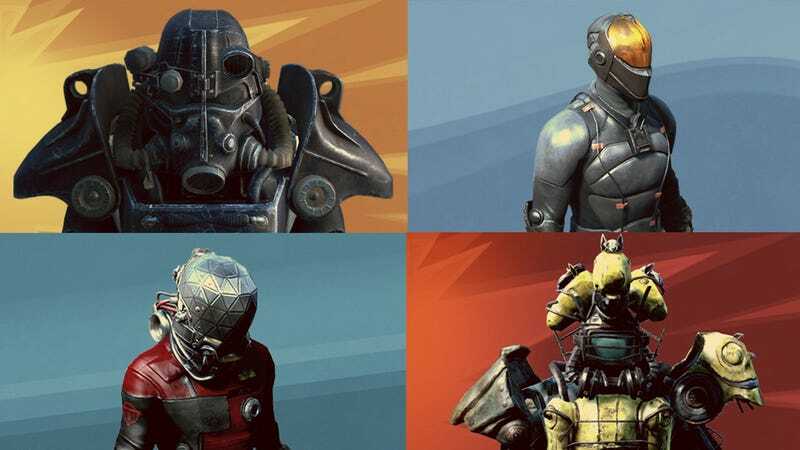 Despite grand promises at E3 this year, Bethesda’s conceptual sequel to paid mods, the Creation Club, recently debuted in Fallout 4 with milquetoast fare like a ten-years-too-late horse armor gag. Skeptical fans weren’t thrilled. Now modders have taken matters into their own hands. Since an update at the end of August, the upper right-hand quadrant of the PC version of Fallout 4's main menu has been taken over by a section titled “CREATION CLUB NEWS” (caps are Bethesda’s, not mine). It’s basically a big, gaudy ad for paid content that people find to be unspectacular at best. Enter the “No More Creation Club News” mod by a modder named InAComaDial999. It’s currently the second most popular file of the month on Nexus Mods’ Fallout 4 page. It gets rid of the ad. That’s it. You gotta admit, Fallout 4's main menu does look much better without a heaping helping of ad copy killing the post-apocalyptic vibe. I imagine, though, that people aren’t downloading this mod because they’re aesthetic purists. They want to stick it to the man, and this feels like a tiny middle finger they can deploy at will. It’s kind of a shame, because on paper, Fallout 4's Creation Club, with modders/devs getting professional-level backing from Bethesda, could be really cool. Hopefully the next batch of not-mods from Bethesda and friends will be not, you know, bad.